Between June 25 and October 30th the Russell 2000 ETF (IWM) lagged the larger S&P 500 ETF (SPY) by more than 14 percentage points as investors worried over the possible ramifications of rising interest rates. The hedge funds and institutional investors we track typically invest more in smaller cap stocks than the normal investor, and we have seen data that shows those funds paring back their overall exposure. Those funds cutting positions in small caps is one reason why volatility has increased. 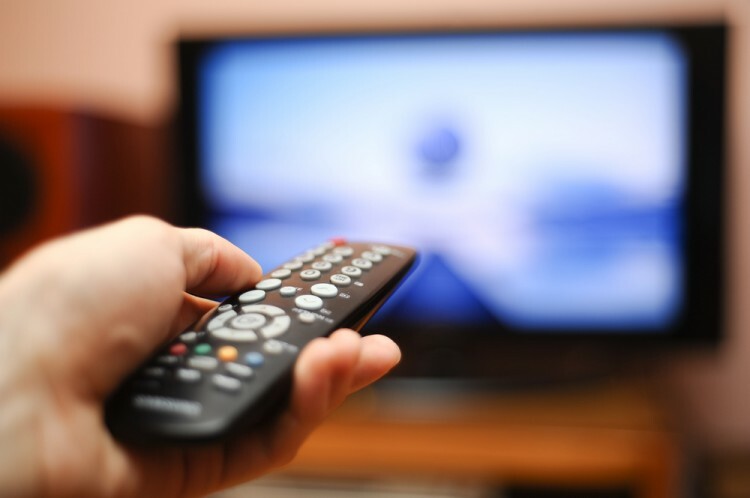 In the following paragraphs, we take a closer look at what hedge funds and prominent investors think of Viacom, Inc. (NASDAQ:VIAB) and see how the stock is affected by the recent hedge fund activity. Viacom, Inc. (NASDAQ:VIAB) was in 35 hedge funds’ portfolios at the end of September. VIAB shareholders have witnessed a decrease in support from the world’s most elite money managers in recent months. There were 47 hedge funds in our database with VIAB positions at the end of the previous quarter. At the end of this article we will also compare VIAB to other stocks including Stanley Black & Decker, Inc. (NYSE:SWK), The Clorox Company (NYSE:CLX), and Apache Corporation (NYSE:APA), to get a better sense of its popularity. Follow Viacom Inc.Follow Viacom Inc.
Today there are several methods stock market investors put to use to appraise their stock investments. Some of the less known methods are hedge fund and insider trading activity. Experts at hedge fund tracking site Insider Monkey have shown that, historically, those who follow the best picks of the top money managers can outperform the S&P 500 by a very impressive amount (see the details here). Keeping this in mind, we’re going to take a glance at the latest action encompassing Viacom, Inc. (NASDAQ:VIAB). What have hedge funds been doing with Viacom, Inc. (NASDAQ:VIAB)? At the end of the third quarter, a total of 35 of the hedge funds tracked by Insider Monkey were long in this stock, a decline of 26% from the second quarter. With hedge funds’ capital changing hands, there exists a select group of key hedge fund managers who were increasing their stakes substantially. When looking at the hedgies followed by Insider Monkey, Donald Yacktman’s Yacktman Asset Management had the largest position in Viacom, Inc. (NASDAQ:VIAB), worth close to $358.5 million, amounting to 2.4% of its total 13F portfolio. Coming in second was Millennium Management, led by Israel Englander, holding a $194.6 million position; the fund had 0.4% of its 13F portfolio invested in the stock. Some other peers that held long positions encompassed Mario Gabelli’s GAMCO Investors, Cliff Asness’ AQR Capital Management, and Murray Stahl’s Horizon Asset Management. Seeing as Viacom, Inc. (NASDAQ:VIAB) has faced a declination in interest from hedge fund managers, it’s safe to say that there exists a select few fund managers that slashed their entire stakes heading into Q4. Interestingly, Warren Buffett’s Berkshire Hathaway dumped the biggest stake of the “upper crust” of funds followed by Insider Monkey, totaling an estimated $365 million in stock. John Osterweis’s fund, Osterweis Capital Management, also dumped its stock, about $83.3 million worth. These bearish behaviors are intriguing to say the least, as aggregate hedge fund interest dropped by 12 funds heading into Q4. Let’s also take a look at hedge fund activity in other stocks similar to Viacom, Inc. (NASDAQ:VIAB). We will take a look at Stanley Black & Decker, Inc. (NYSE:SWK), The Clorox Company (NYSE:CLX), Apache Corporation (NYSE:APA), and Essex Property Trust Inc (NYSE:ESS). This group of stocks’ market values resemble VIAB’s market value. As you can see these stocks had an average of 32.5 hedge funds with bullish positions and the average amount invested in these stocks was $879 million, while hedgies had $1.27 billion invested in Viacom. Apache Corporation (NYSE:APA) is the most popular stock in this table. On the other hand Essex Property Trust Inc (NYSE:ESS) is the least popular one with only 22 bullish hedge fund positions. Viacom, Inc. (NASDAQ:VIAB) is not the most popular stock in this group but hedge fund interest is still above average. This is a slightly positive signal but we’d rather spend our time researching stocks that hedge funds are piling on. In this regard APA might be a better candidate to consider a long position in.